Continuing my way towards Nashville I had the choice of traveling across northern Oklahoma or jogging north slightly and traveling east across southern Kansas. 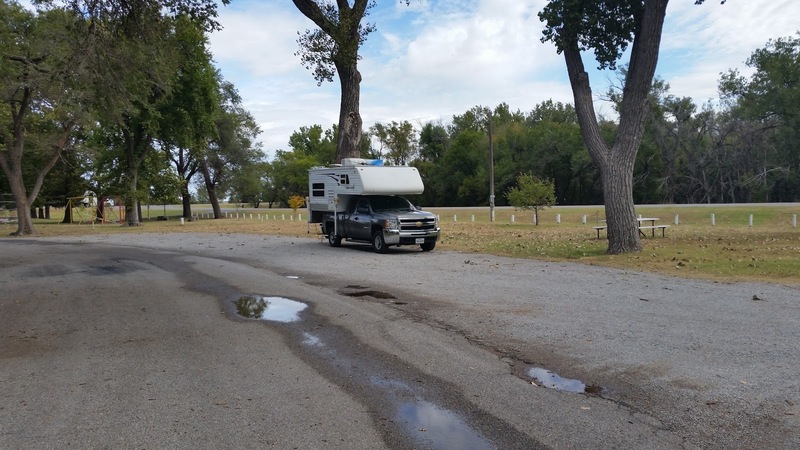 As I've driven across Oklahoma many times I opted for the lesser traveled route and targeted Meade, Kansas where freecampsites.net indicated there was a city park that you could overnight in. Meade is a small town of 1750 and was named after General George Meade who led the Army of the Potomac during the Civil War. 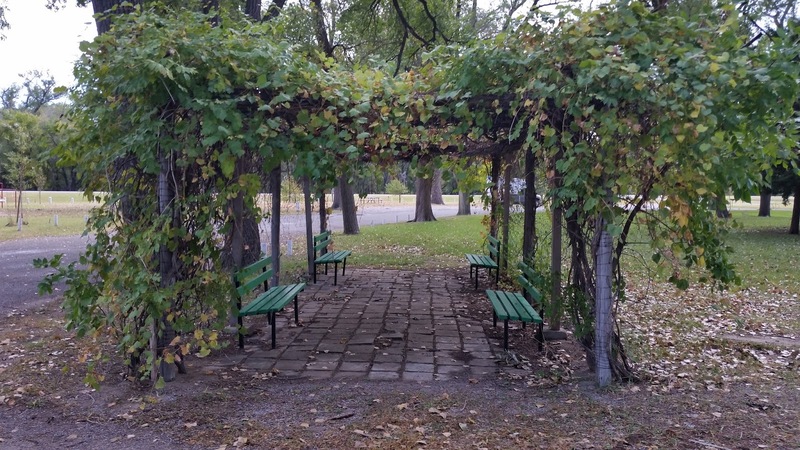 Meade City Park is on the east side of town on Highway 54 which is the town's "main drag". An unusual covered trellis in the center of the park. 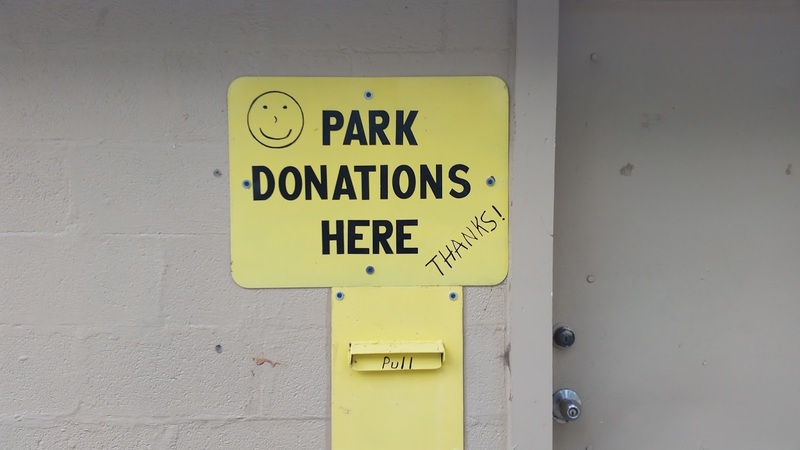 While the stay at Meade City Park is technically "free" there is a sign on the bathroom facility asking for camper donations. 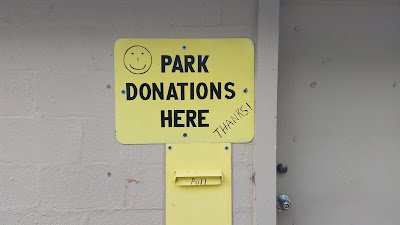 I always try to contribute something in the hope that will encourage towns to keep their parks available for overnight camping, I dropped in $5. I always wonder what percentage of my cash donation makes it to the town? It appeared that at some point in the past the park offered electric hookups as they are still in existence but the power to them is turned off. It looks like a hookup station but it's just a little tease! 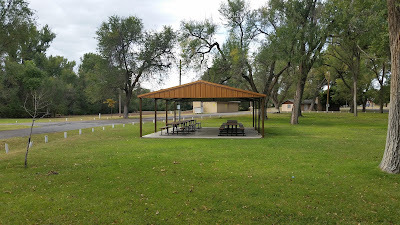 If you visited the park in a non-solar powered rig you COULD charge your phone or laptop in one of the covered picnic shelters where the outlets were powered up. 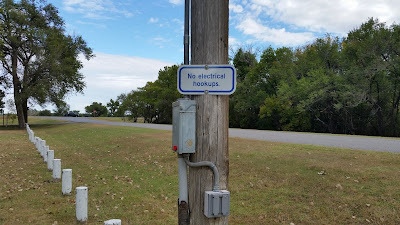 The outlets on the support poles have electricity. The park has two kiddie playgrounds, an outdoor pool which had closed for the season during my visit, a sand volleyball court and takes up about five acres. There were no clearly delineated RV parking spots so I just parked on a gravel section off the paved park street, but another camper who arrived in a Class C rig after I did just pulled onto the grass which I guess was permitted because a sheriff deputy who drove right by us never stopped. The Tank parked off the park's drive. City parks aren't usually intended as destination camping venues by their residents and Meade City Park is no exception. It's a completely viable overnight for east / west travelers and I'm sure the town administration hopes that the campers will put donations into the donation box and possibly patronize the local business community (there is a Bob's Hamburger a block from the park which smelled pretty good as I walked by on my walk). I would definitely stay there again if I pass through Meade.